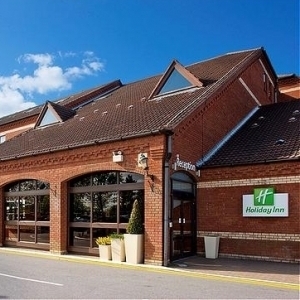 The ICT for Education national conference programme reaches Norwich on 15 May 2015 at Holiday Inn Norwich - North. Hear first-hand from the children of Woodlands Primary Academy how they want to use technology in the classroom. Joined by Tim Handley, the children will also share ideas and reminders about how technology can be used outside computing lessons to enhance and extend learning as well as motivate and engage learners and parents. The session has been written by the children and aims to give delegates something they can take back to their setting. Dan has extensive experience of using cloud based technology to improve teaching and learning. In this session, he will look at what technology is most effective in the classroom and how it can be used to make a significant difference in any subject. He will also share some insights on what educational research says ought to work and what actually does work. Dan Leighton is the new deputy head at Alexanders College international school. He is the former director of technology at The Grammar School at Leeds and faculty head at Cottenham Academy. Dan is a Google Certified Teacher who specialises in using cloud technology in education. Dan originally trained as a biological anthropologist at the University of Cambridge. In addition to an MA in Archaeology and Anthropology, he holds an MA in Creative Writing.